A handy pocket-sized guide walking and hiking guide to the routes of New South Wales' Great North Walk. If you are thinking of walking the Australian “Great North Walk” (http://www.thegreatnorthwalk.com) this guide is designed to help. The authors’ aim is to help make your goal a reality – as easily as possible. 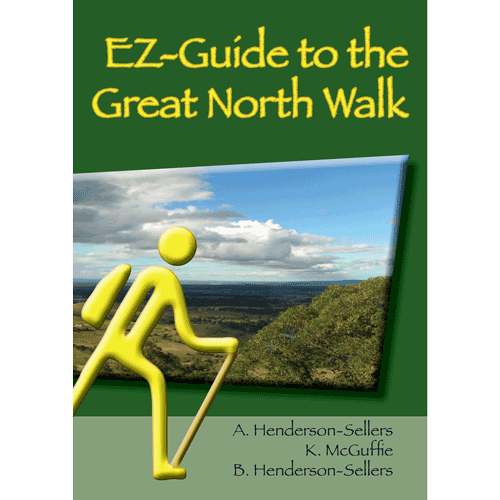 This slim book is an “EZ” -easy- way to access the best and most up-to-date web-based information about the Great North Walk. Twenty-first century hiking: taking your directions and resources with you electronically. The heart of this EZ-to-carry booklet is EveryTrail (http://www.everytrail.com) The fastest way ‘in’ is three bundles of the Great North Walk ‘guides’ http://tiny.cc/North_GNW ; http://tiny.cc/Middle_GNW ; http://tiny.cc/South_GNW . These bundles of six or seven 1-day or 2-day hikes cover the North including Newcastle and the Hunter Valley wineries; Central including Yarramalong and the Aboriginal Rock Art; and South including Sydney and the beginnings of the historic obelisk trail. EZ access to 25 Great North Walk guides, to 22 (geographically similar) trails and to suggestions about accommodation en route and for extra special ‘mustn’t miss’ visits on and near this fantastic walking trail. The downloadable guides also include tips, access information and notes and photos that together cover the whole Great North Walk hike. These trails are available to download and carry with you on your iPhone/iPad/Android or other GPS device. The ‘EZ Guide to the Great North Walk’ gives full details of 22 walks (A-V) that encompass the whole hike. These run from north to south (except the 2 parts of the spur to the Hunter Valley wineries that run from the Great North Walk to Pokolbin (i.e. south to north). The hike begins at the Newcastle Queen’s Wharf and ends at Macquarie Place in central Sydney. This book complements The Great North Walk Companion.